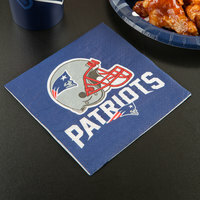 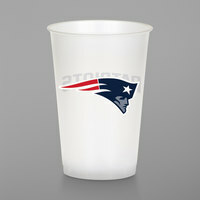 Next time you cater a game day event, keep in mind that we carry a wide array of New England Patriots merchandise. 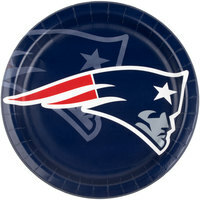 These products are perfect for Super Bowl parties, or even Patriots-themed birthday parties. 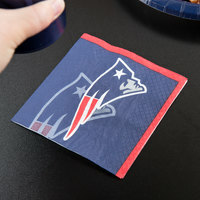 Best of all, our New England Patriots merchandise is disposable to save you from having to wash dishes once the party is over. 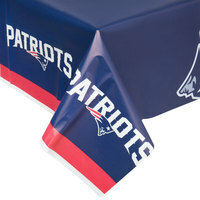 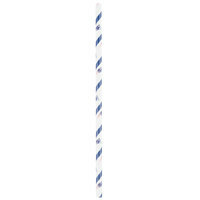 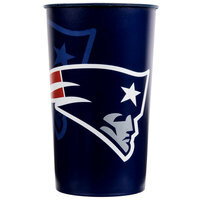 From plastic table covers to paper straws, we carry all the New England Patriots merchandise you need to set up an impressive table. 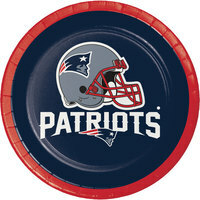 Load up on snacks with our oval paper platters, and you can even send guests home with a plastic souvenir cup to commemorate the occasion. 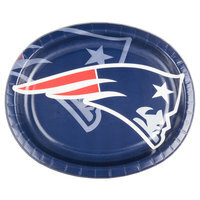 So, whether you’re serving a full dinner or just your favorite finger foods, you can find all the disposable items you need right here.